Tom Holland, Michael Keaton, Zendaya, Jon Favreau, Donald Glover, Tyne Daly with Marisa Tomei and Robert Downey Jr. 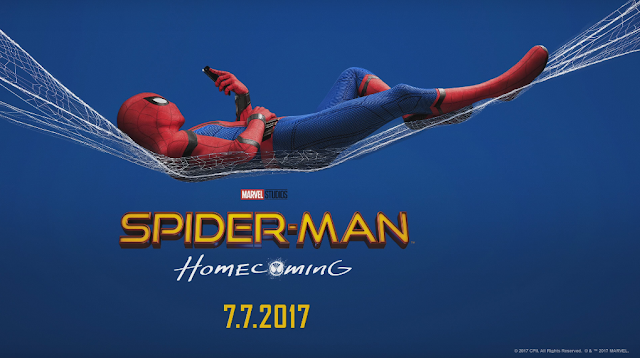 IT MAY seem ridiculous, rebooting Spider-Man for the third time in 15 years but after seeing Spider-Man: Homecoming, you’ll be glad they did. The Tobey Maguire Spider-Man of 2002 was fine; the Andrew Garfield Amazing Spider-Man of 2012 was also fine. The Tom Holland Spider-Man of 2017 is the best Spider-Man movie ever to grace the screen. Spider-Man: Homecoming is the perfect blend of high school dramedy and superhero antics. This is Marvel’s homage to John Hughes, complete with Ferris Buellerreference. By taking it back to the school setting and ageing Spidey down to 15 years old, it recaptures some of the innocent magic gleaned in the comic pages. It also, for a movie with a flying villain and an altitude-defying superhero, grounds the story. One of the main criticisms of superhero blockbusters is that they’re overblown with ever-increasing, imminent apocalypses and cities toppling over, usually in a stupidly bombastic third act. Here, the stakes are much smaller, as is the body count with Peter turning off his suit’s “kill mode” as quickly as he realised it existed. For this Spider-Man, asking a girl to the homecoming dance is as fraught as stopping the bad guy. Our reintroduction to this iteration of Spider-Man starts with a home video Peter shot on his phone of all the behind-the-scenes action of his adventure with the Avengers. It’s cheeky, fun and a clever reminder of what a big hit the character was in Captain America: Civil War and how Holland managed to steal every scene he was in from much, much bigger stars. It sets the tone for the whole movie as we join Peter at his science high school where he and his Star Wars-loving friend Ned (Jacob Batalon) aren’t the most popular kids in school. Here, Peter has to worry about Spanish quizzes, winning the academic decathlon and keeping his secret identity under wraps from the classmates he saves. In many ways, it has more than a touch of Buffy the Vampire Slayer.